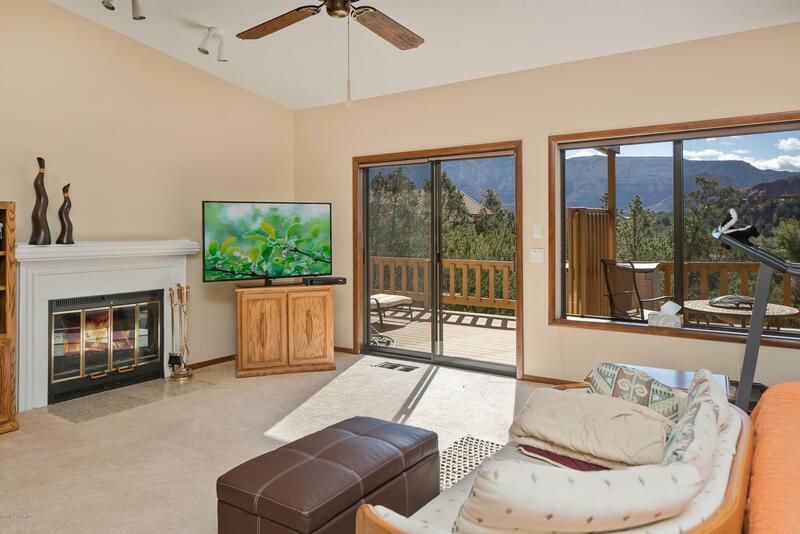 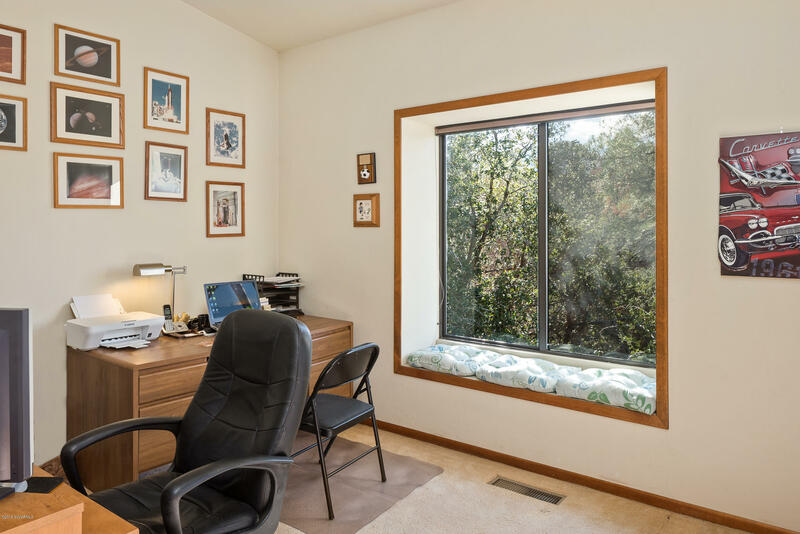 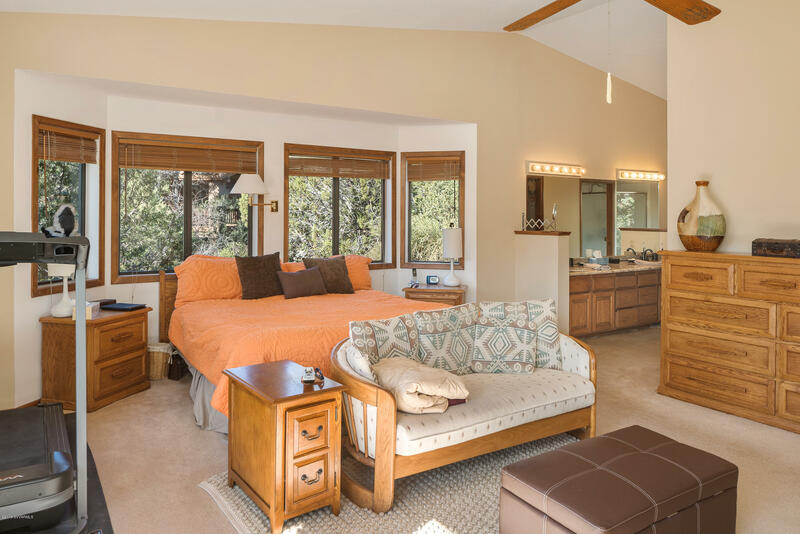 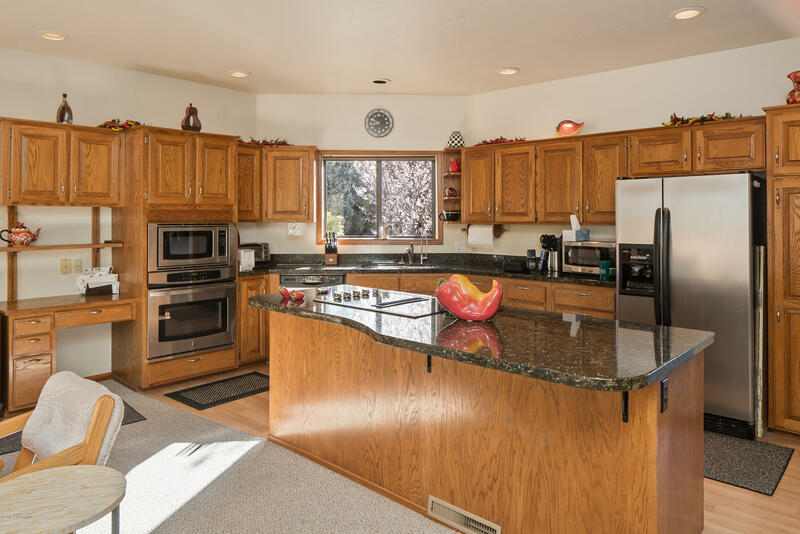 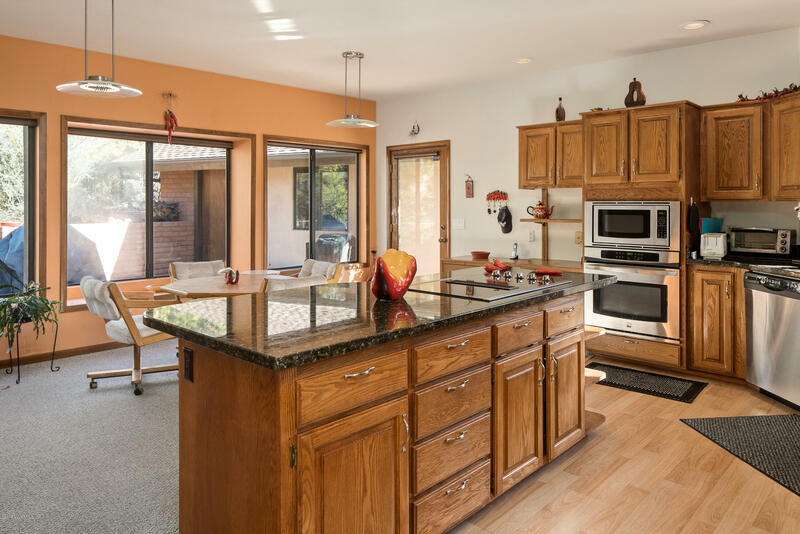 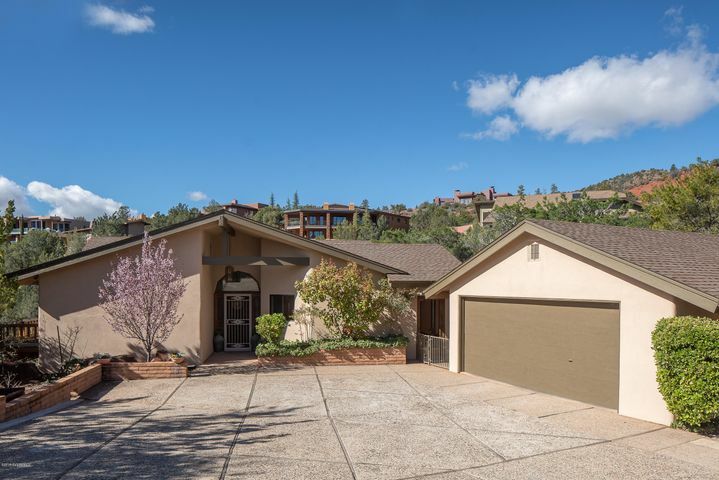 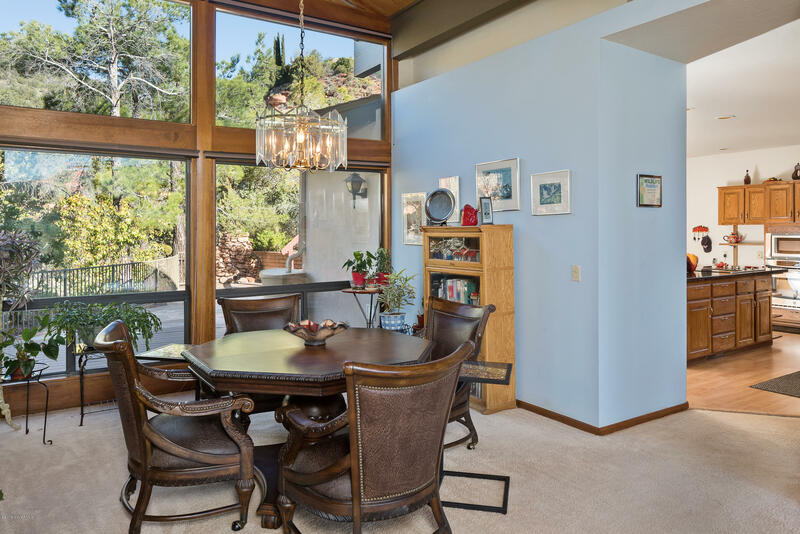 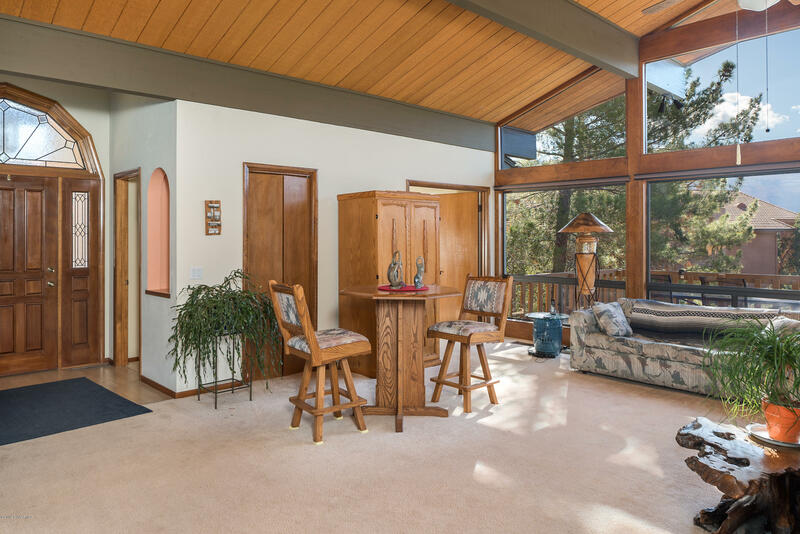 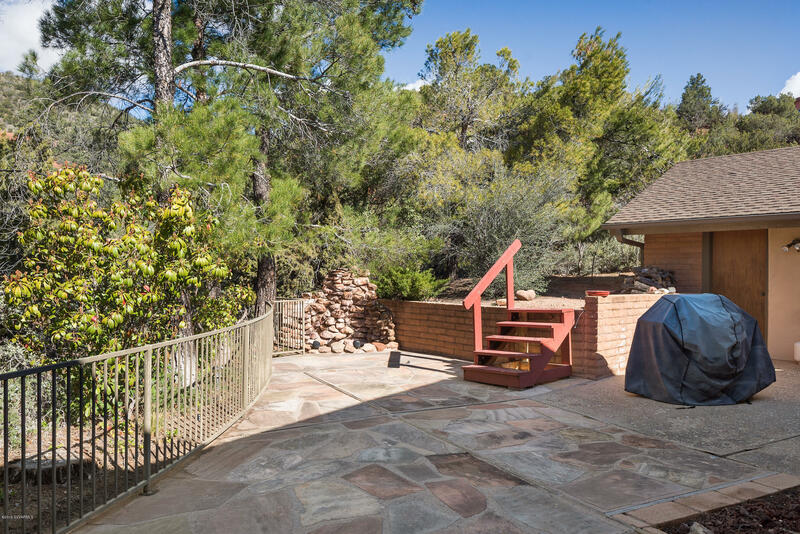 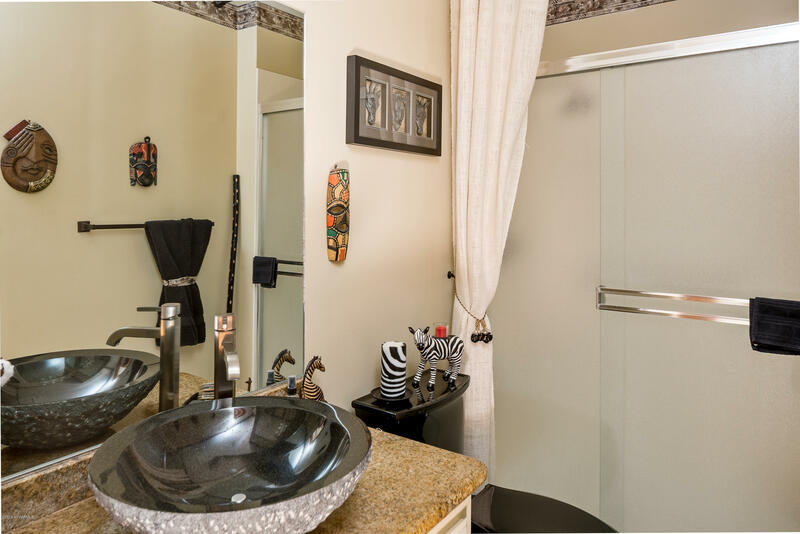 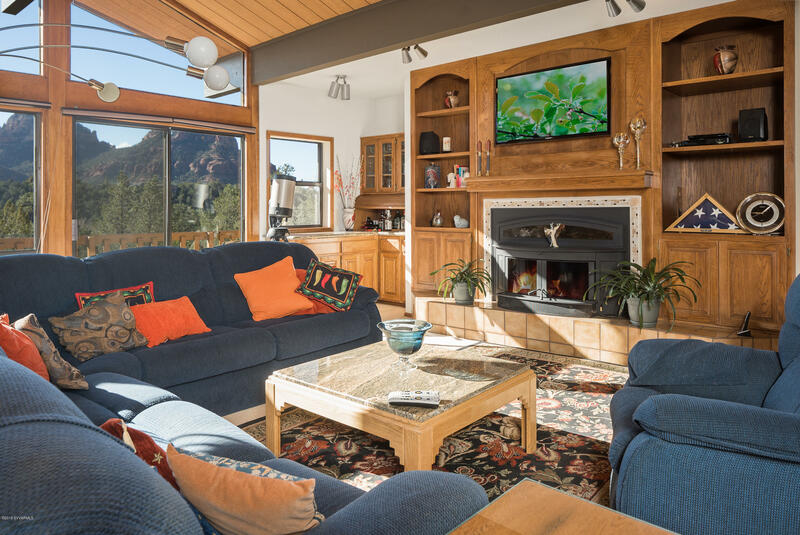 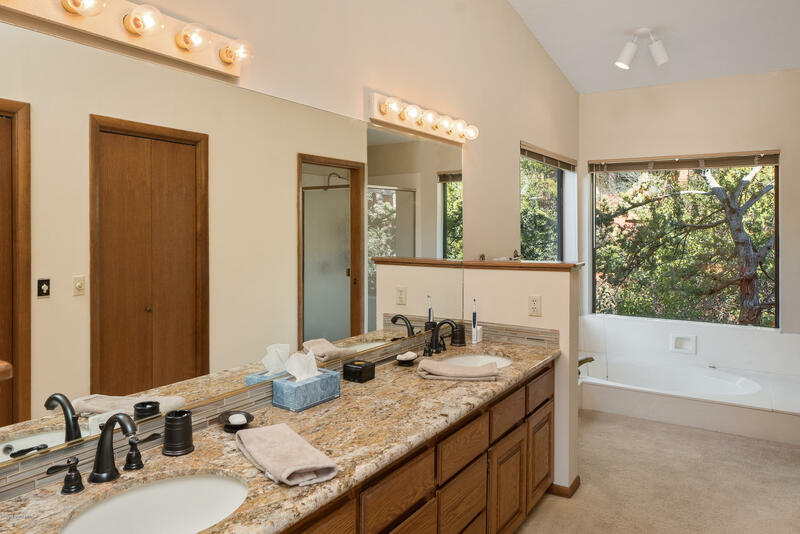 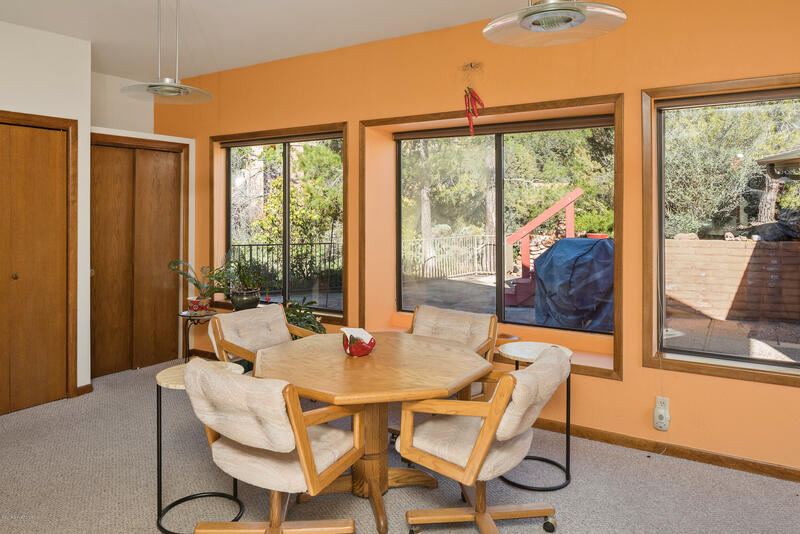 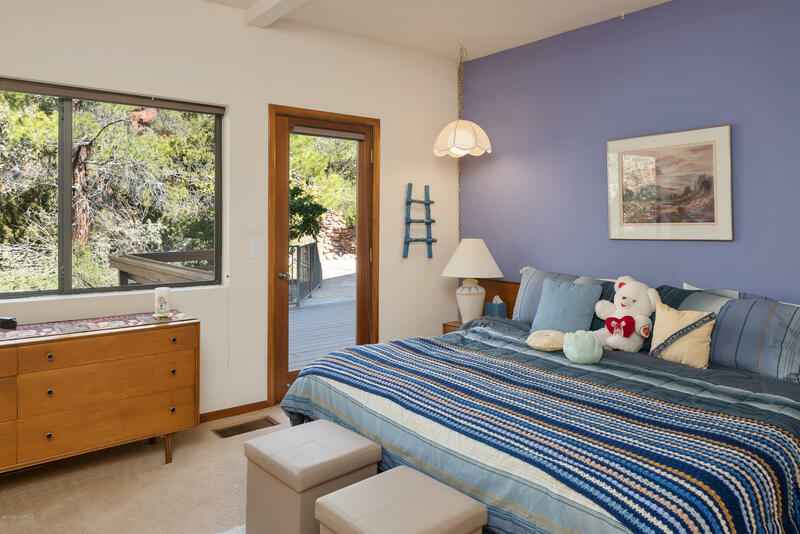 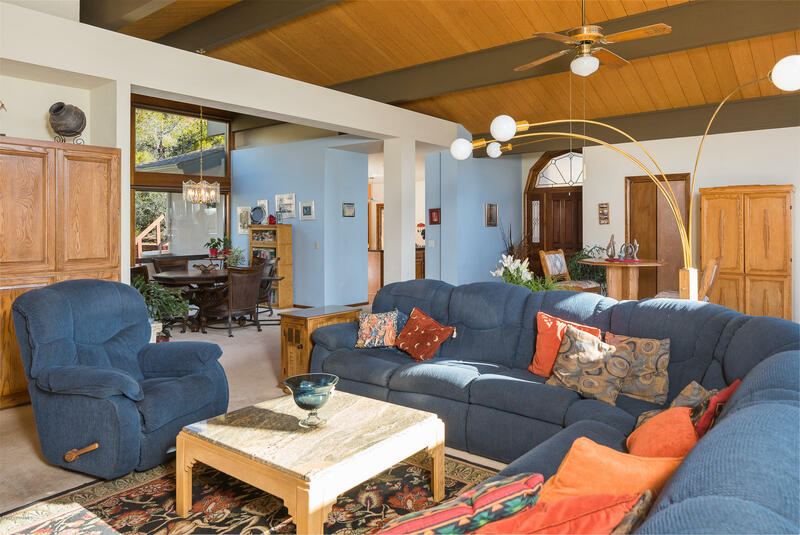 Amazing single level view home nestled between the trees in a centrally located, yet secluded neighborhood with nearby National Forest and creek access. 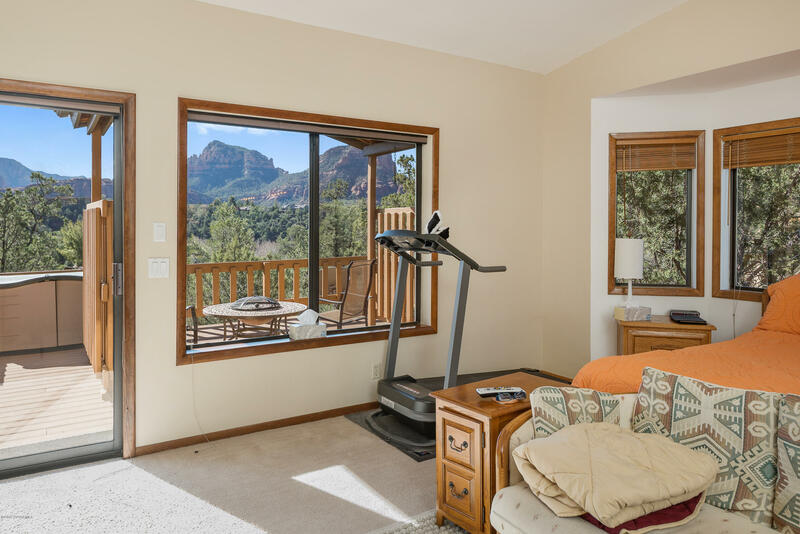 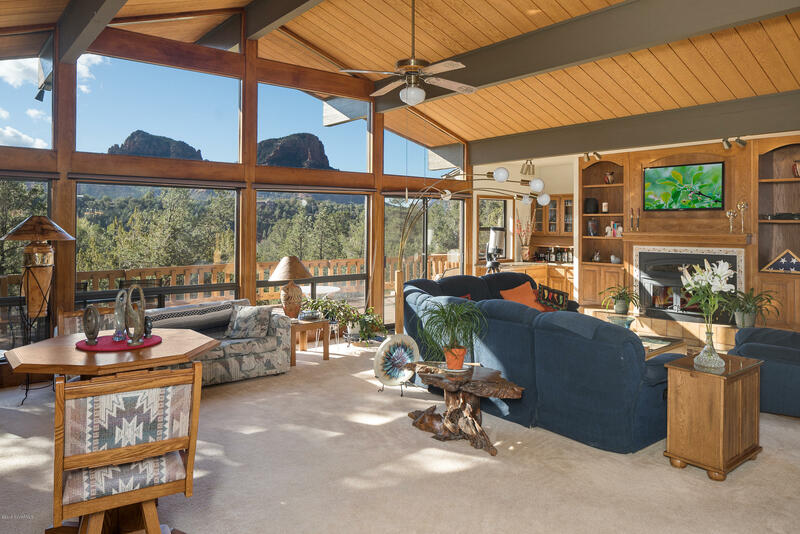 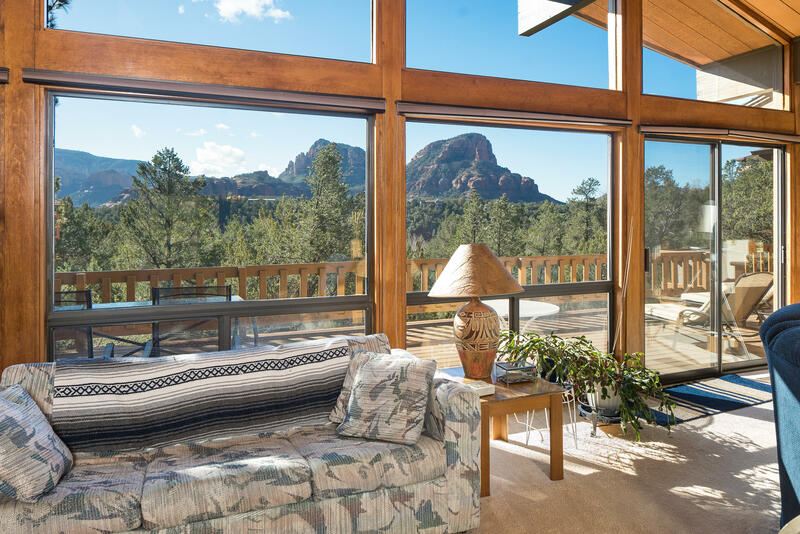 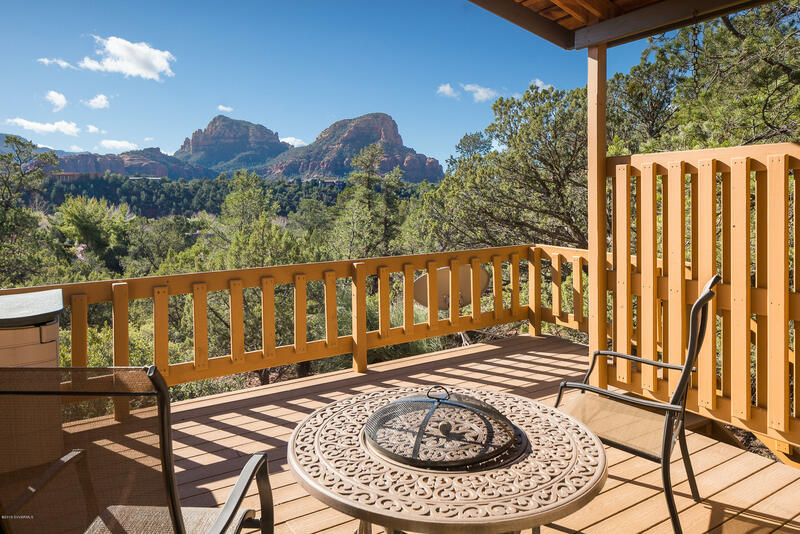 Original builder took advantage of the Red Rock views in this ''Bridge'' home spanning a wash with cathedral ceilings to perfectly frame the surrounding red rocks. 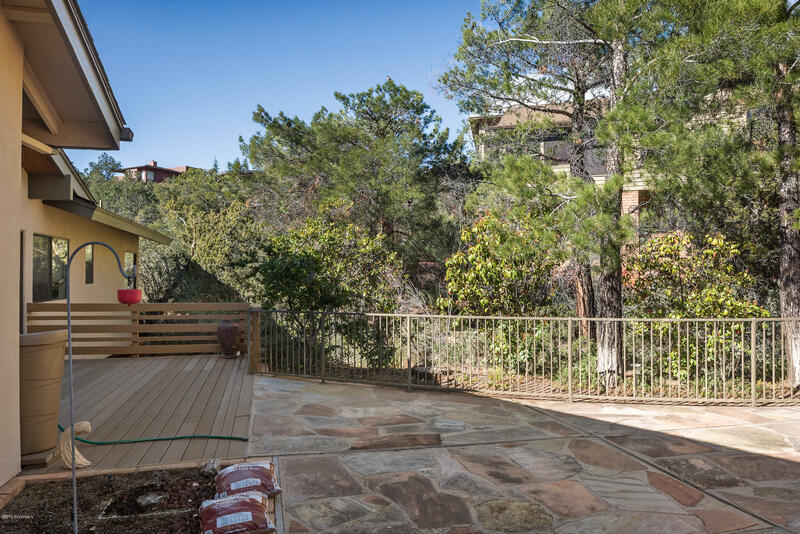 Rear deck has jaw dropping views yet remains private and would be a fantastic entertaining home with large rooms, split bedroom plan and amazing outdoor living spaces on both sides of the house. 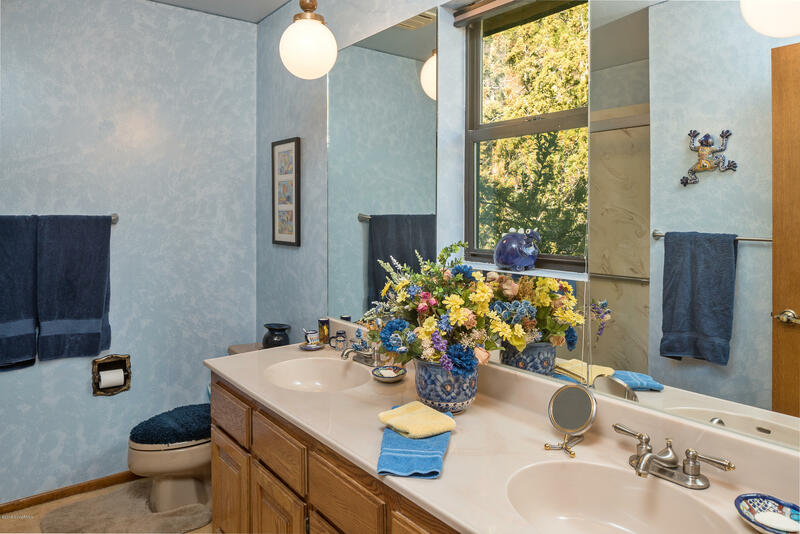 Some cosmetic upgrades to this quality home will result in a fantastic value - as the surrounding homes are all of high quality and higher prices. 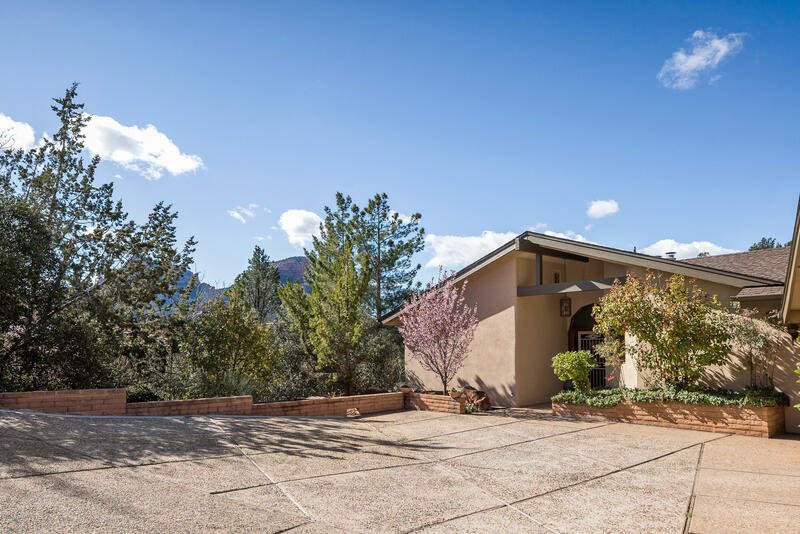 Directions: W State Route 89A to Brewer Rd right on 1st Palisades Dr to home on left.